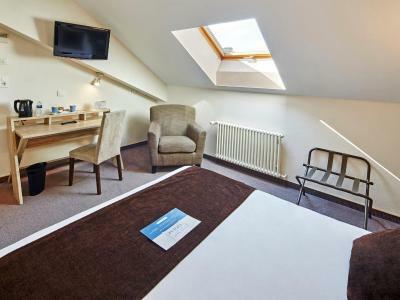 Lock in a great price for Kyriad Epinal Centre – rated 8.3 by recent guests! The location is great and worked perfectly for me. I had a late bus in so across the street from gare d'epinal was ideal. I also enjoyed the food for breakfast but 10€ is way too much. The buffet breakfast was decent with many choices. The bed was very comfortable for a budget hotel. Very clean. This is better than most chain budget hotels. Very good value for money. The welcome at reception was very warm and helpful. I drove on my motorbike and could park in their garage despite it being nearly full of pushbikes. This was a great feature of the hotel. They have a bit of parking in the hotel off street and secure and given the centrality of the property to the train station it gave me a bit of piece of mind as opposed to the bike being on the street. The building was fairly old but they had done a professional refit of the interior. The interior was modern, air conditioned, comfortable, new and very clean. 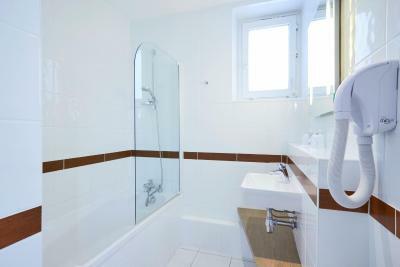 I would stay here again if I was in Epinal a very good and moderate priced property. Hotel in good location, easy walk into town centre. Secure private parking. Staff were very polite, helpful and friendly. Room was very clean with good facilities. Damien was very helpful on the phone prior to my arrival and at Reception on my arrival as I arrived just before midnight after a long drive. A real bonus to be able to park my car in their private hotel garage and have a glass of cold white wine from the bar. It was my first stay at a Kyriad hotel and I was very impressed with the service and my room was very comfortable. The small kettle and instant coffee and tea available was unexpected and a nice bonus and the fitted hair dryer in the shower room was helpful as I do not travel with a hair dryer! Thanks. I would book a Kyriad hotel again. 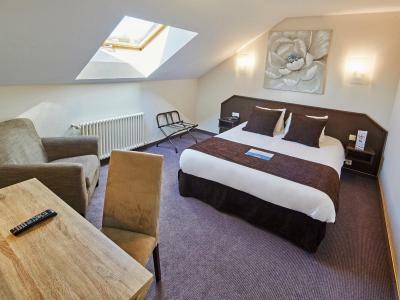 One of our top picks in Épinal.Just a 2-minute walk from Epinal center, this hotel offers 3-star rooms with air-conditioning, satellite TV and free Wi-Fi. The Musée Départemental d'Art Ancien et Contemporain on the banks of the River Moselle is a 7-minute walk. Each modern room is soundproofed and the private bathroom is equipped with a shower and a hairdryer. The rooms are simple in design, decorated with neutral, light tones. A breakfast buffet is served daily in the breakfast room. There is a 24-hour self-service kitchen corner with microwave at Kyriad Epinal Center, which offer a fine place to relax and mingle. The restaurant can be opened for groups, upon prior request. The hotel is serviced by a elevator. There is always a night porter and the hotel is conveniently located next to Epinal Train Station. A private garage is available with an extra cost and a shuttle service is provided upon prior reservation. When would you like to stay at Kyriad Epinal Centre? 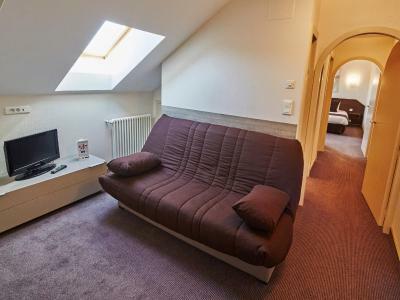 This air-conditioned room includes a TV with satellite channels, a telephone and a private bathroom with a hairdryer. 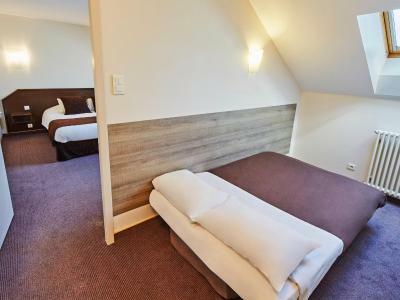 This air-conditioned and soundproofed room includes satellite TV and a private bathroom with a hairdryer. 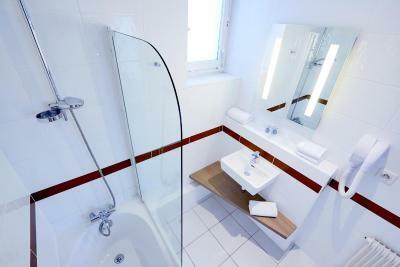 This air-conditioned room includes a TV with satellite channels and a private bathroom with a hairdryer. No extra bed available in this room. This quadruple room has air conditioning, flat-screen TV and electric kettle. House Rules Kyriad Epinal Centre takes special requests – add in the next step! Kyriad Epinal Centre accepts these cards and reserves the right to temporarily hold an amount prior to arrival. The bar opens every night from Monday to Thursday. On weekends, it can open for groups upon prior reservation. Please note that meals can be provided for groups upon prior request. Location is ideal. Good breakfat. I don't know why we need reconnect WIFI everyday. The location is very easy to find. The price for the room was too high for the general area. Breakfast cost too much. It is also not handicap accessible. There is an elevator on the main floor but all of the elevators stop half way up the stairs at mini landings. You still have 10 or so steps to climb regardless. Nothing... was perfect for my needs. WiFi connection was very poor in the room. street-side room is noisy due to bus terminal. Location was convenient, across from the train station and next to two car rental agencies. Five minute walk to downtown shops and the river.